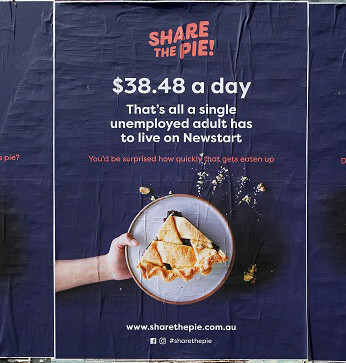 A grassroots campaign is using real pies to highlight low Newstart payments and to ask if unemployed Australians are receiving their fair slice. Photo courtesy of the Share the Pie! website. The Brotherhood of St Laurence joined forces with a project team from the Committee for Melbourne’s business and civic leadership program, the Future Focus Group, to launch the Share the Pie! campaign. It uses real pies and social media to build awareness of the low levels of Newstart unemployment payments – which can be as little as $38.48 a day for a single person. Share the Pie! invites people to join their family, friends and colleagues over pie, to talk about whether Australia “shares the nation’s pie fairly”. On the Share the Pie! 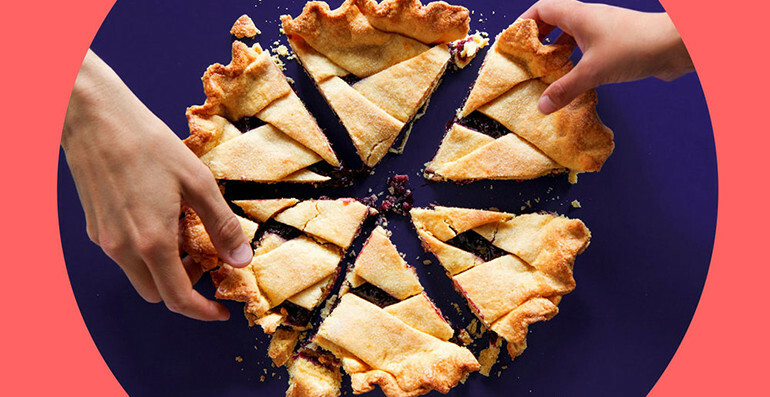 website, people can share their own pie recipes and are also encouraged to post images of themselves sharing pie to Instagram using the hashtag #sharethepie. The initiative came about after Future Focus Group (FFG) members approached the Brotherhood of St Laurence to collaborate on a community campaign. FFG’s Natalie Thorne is one of the concerned community members behind the campaign, and she said the plight of unemployed Australians shocked her. “We came together to start a fresh conversation in our country about the very low levels of Newstart,” Thorne said. The Brotherhood of St Laurence said a single unemployed person with no children aged over 22, received a Newstart Allowance of just $538.80 a fortnight or $269.40 a week. The anti-poverty group is calling for Newstart payments to increase, with the base rate of the allowance remaining static in real terms since 1994. A Share the Pie! poster outside the Queen Victoria market in Melbourne. The principal advisor of public affairs and policy at the Brotherhood, Farah Farouque, said the pie’s use as the campaign’s icon had an obvious logic. “The concept of ‘the pie’ is used in economic and policy circles to talk about inequality issues. We thought why not use real pie to spark community conversations about the inadequate financial support we offer unemployed people,” Farouque said. She said people were shocked by how low the Newstart payment was for those looking for work in Australia, and that additional rent assistance for recipients renting privately was still not enough. 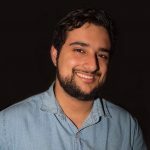 “People outside the welfare sector are often surprised to hear how low the Newstart payment is for those looking for work in a prosperous country,” Farouque said. Farouque said the organisation placed a great emphasis on partnerships with the business sector, government and the wider community, so they could better work towards improving the lives of those most disadvantaged. “Working with the Future Focus group on this campaign means we can draw on the group’s resources and engage a wider audience,” she said. The Brotherhood of St Laurence said a series of pie-sharing public events were currently being planned to promote the campaign.